Once a hot item for thieves and pickpockets, Apple's iPhone is becoming a significantly less attractive target as the company's Activation Lock prevents the devices from being easily wiped and re-sold, a new report indicates. In San Francisco, 40 percent fewer iPhones were stolen between Sept. 2013 and Sept. 2014, according to Reuters. The number dipped 25 percent in New York, and "smartphone thefts" were down 50 percent in London over the same period. "We have made real progress in tackling the smartphone theft epidemic that was affecting many major cities just two years ago," London Mayor Boris Johnson said. A similar report in June of last year showed thefts reduced by 38 percent in San Francisco and 24 percent in London. In New York, robberies and 'grand larcenies from a person' involving an iPhone dropped by 19 and 29 percent, respectively. 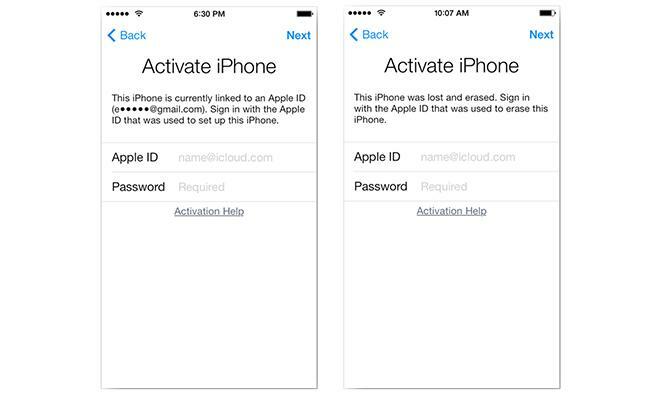 Apple introduced Activation Lock in iOS 7. The feature "locks" iOS devices with the owner's iCloud account credentials, and requires that they be authenticated with Apple before the device can be erased and set up again. Activation Lock was the first commercially available "kill switch" for mobile operating systems, and similar features have since been implemented by Google and Samsung. California passed a law last August requiring that all smartphones sold in the state implement kill switches by July 2015, and an FCC panel in December recommended that the commission establish a similar nationwide framework, citing Activation Lock as model deterrent.